I’m the biggest tag in the tagcloud. Yes. 🙂 No need to tag yourself (unless you really want to). If you click on anyone’s names, you will see their posts. @brooking blew my mind with this. Cool concept. Basically taking Pomodoro and turning it into a game by adding a notion of levels. I like it. Let us know how it goes! It’s a little rough around the edges, but I had a similar reaction. Yea the developer is a friend of mine and is SUPER open to feedback and really passionate about it. He’s a productivity coach and has been living and breathing this game for the last 6 months, and is in that classic developer mode of building it out with the budget he can and looking for investors/ways to have the time to build it out more and still provide for himself materially in the mean time 😉 I find it really helpful for those days when it’s hard to get myself focused – the action game is a great way to get started. It’s also fun to do ACTION PARTIES which are co-work days based in actions (just did one Wednesday in Oakland), which are great because you work and then get to chat with friends/dance etc for 5 minutes every half hr…. I missed last week’s bootcamp–which looks very interesting and am sorry that I did. It’s always dangerous to quote things without *fully* reading them, but this part of the summary paper struck me. Joi Ito, head of MIT Media Lab, offered these principles for education reform. It feels like these could apply well beyond education reform. Thanks for sharing! The other Eugene and I did a project a few years back around connected learning and ed reform. This is reminding me of what great, cutting edge thinking is happening in that world. I’m learning this about myself. Boot camp 2 was held in the Hyatt Regency. Second bootcamp completed. We were joined by Marie Haller from the Hub. She and I worked together for a few months before I switched to a new job. I was excited to get to interact and engage with her. Yesterday we had a new exercise—take 5 minutes to talk about project, 5 minutes to write down question presented during and new questions raised afterwards. Then choose one of the questions as a leading question to begin a deeper exploration of the project. I’m noticing themes and patterns to the Bootcamp exercises. Active listening, asking the right questions, orienting yourself to the right context, adjusting based upon who is in the room, rinse, lather, repeat. This week’s exercise felt less well designed than week one’s. To continue the bootcamp and exercise analogy, strength training or conditioning is often about isolating one set of muscles or fitness goal so that you get better and better at just that. My main critique of this exercise was that the specific emphasis wasn’t clear. The exercises and interactions are good fodder for thought and, admittedly, there is part of my brain that is stepped outside of the actual interaction. It has been a great process so far. It is a deep privilege to be in this class with Jess and Marie–I knew that EEK would attract stellar people (his tribe) to the bootcamp and this has been proven to be very true! Asking generative questions. In this particular case, I wanted you all to practice listening for questions. Synthesizing in real-time. Again, thinking in questions was part of this, but also thinking spatially. My followup thought experiment is: What if I had chosen two muscles, instead of three? What would this workout have looked like? Thoughts welcome! Am excited to be part of this iteration of Changemaker Bootcamp. I’m enjoying the expecting the unexpected aspect after the first workout. I compared the workout to being a contestant on Top Chef–but without the elimination rounds. My project is to reorganize how I achieve flow and progress in my work and family life. I will do this by reorienting my management practices from projects and todos to rituals, practices and rules. The idea is to be be more present and be more accomplished (and more satisfied with what I have accomplished). It was a pleasure meeting the other participant, Jess and we already share many common connections. I like her a lot already. So this is a first step in a planned transformation–intrinsic rather than extrinsic. I’ll keep you posted as to how it turns out. I’d do it anyway, but Eugene is making me do it as homework. By way of introduction, I’m Eugene Chan. Currently Chief Information Officer at PolicyLink, formerly of The Hub, and ZeroDivide. 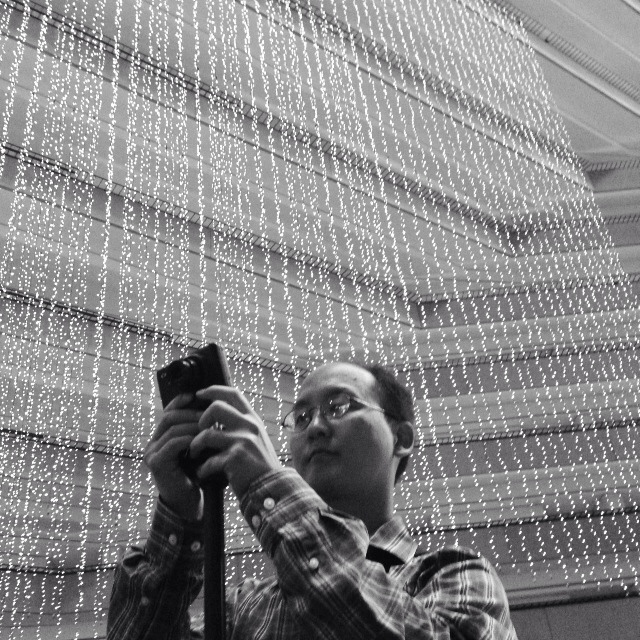 Father to two growing kids, and an avid photographer. Cheers! Welcome, Eugene! And +1 for being the first of the new bootcampers to introduce yourself here! Hi Eugene Chan! So great to see you on the Water Cooler. I look forward to reading about your experiences and reflections.